Flannel and snow. 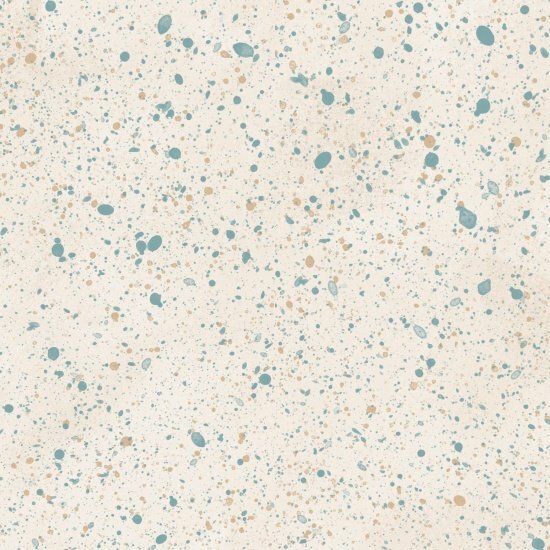 The perfect match! The delightful palette from Shelly Comiskey is a winter winner. 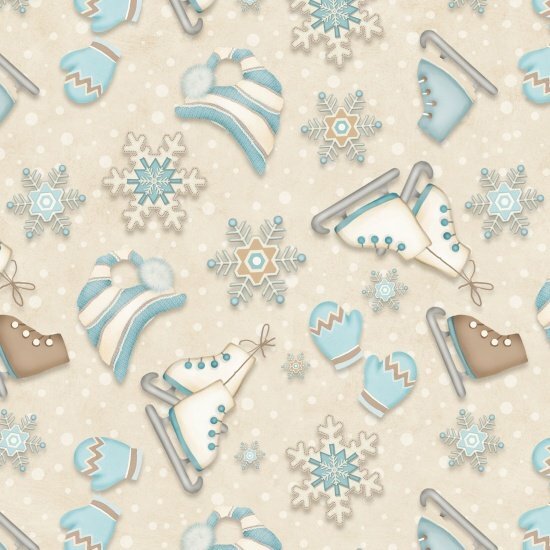 Snowmen, skates, mittens and hats are tossed in snow. 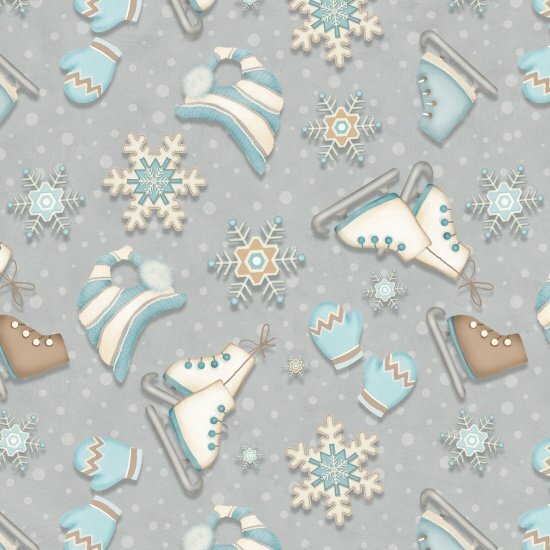 A lead panel of a cheerful snowman sets the pace with the blues, grays, and neutral browns. 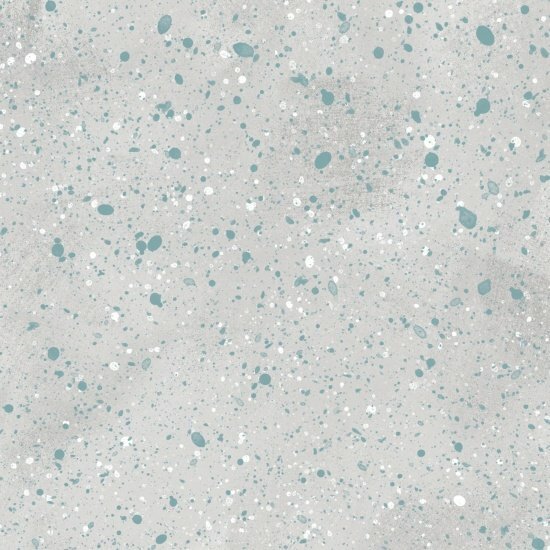 The soft snow icons, and splatter dots for texture give this life long after the holiday season for those who love winter.